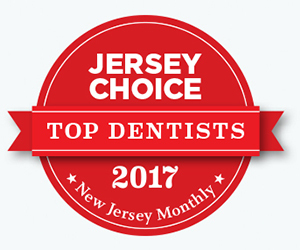 Bagoff Dental Arts in West Orange, NJ provides extensive dental care that includes a dental crown. If you are looking for a dentist to provide you with dental crowns and bridgework we are here to help you. Find out what to expect when you see your West Orange dentist for a dental crown. What is Crown Tooth Repair Used for? A crown tooth repair involves the application of a cap that looks like a real tooth onto the surface of your actual tooth. This is used for teeth that are chipped, stained, or otherwise impaired. Using a crown allows you to protect your actual tooth much easier. A broken tooth can allow bacteria to get into the roots and nerves of the damaged tooth. Covering this broken area with a crown protects the longevity of the tooth, while also improving its appearance. How Long do Crowns Last From Bagoff Dental Arts? Here at Bagoff Dental Arts we want your crown to last for as long as possible. Generally a dental crown will last for up to 15 years. However, some crowns can last for the rest of your lifetime. This all depends greatly on how well you care for your dental crown. How Do I Care for Dental Crowns? If you brush your teeth, floss, and are careful about the foods you eat you will extend the life of your crown. For example, regarding foods you want to avoid sticky or hard foods, as well as chewing on ice. Also you want to see your dentist at Bagoff Dental Arts for regular dental exams to further protect your crown from wear and damage. If you are ready to get a dental crown in West Orange, NJ we want to provide you with this dental service. Your dentists at Bagoff Dental Arts are highly skilled in the latest techniques and materials used for dental crowns. To get started with dental crowns contact your dentist at Bagoff Dental Arts to schedule an appointment.